Does it seem like everything you eat goes straight to your thighs? Dimpled legs can affect your confidence, making it difficult to wear shorts, skirts, and form-fitted pants. Ladies of all sizes can suffer from cellulite dimpling caused by connective tissue that pushes against the skin. To slim your legs and reduce cellulite, start by having an active lifestyle of having daily exercise routine and eating healthy, low carb-high protein meals. But if it seems that fat in the thighs are still resistant to any rigorous exercise routine, then try one of several fat reduction treatments offered by our aesthetic clinics in Singapore. These safe and non-invasive procedures have been proven effective in reducing excess fat and breaking down fat deposits on the legs for slimmer, smoother legs. A safe and effective option to remove stubborn fat in the thighs is with the CoolSculpting procedure. CoolSculpting in Singapore is a FDA-cleared non-surgical fat freezing procedure that reduce fat in common problem areas such as the thighs, belly, flanks, arms, and even the neck with double chin. The CoolSculpting procedure has several applicators with different sizes to target a specific area. For the thighs, two applicators can be used – CoolFit Advantage and CoolSmooth Pro. The CoolFit Advantage applicator is a safe fat removal applicator that treats small areas like the inner thighs whereas the CoolSmooth Pro applicator safely treats the outer thighs. 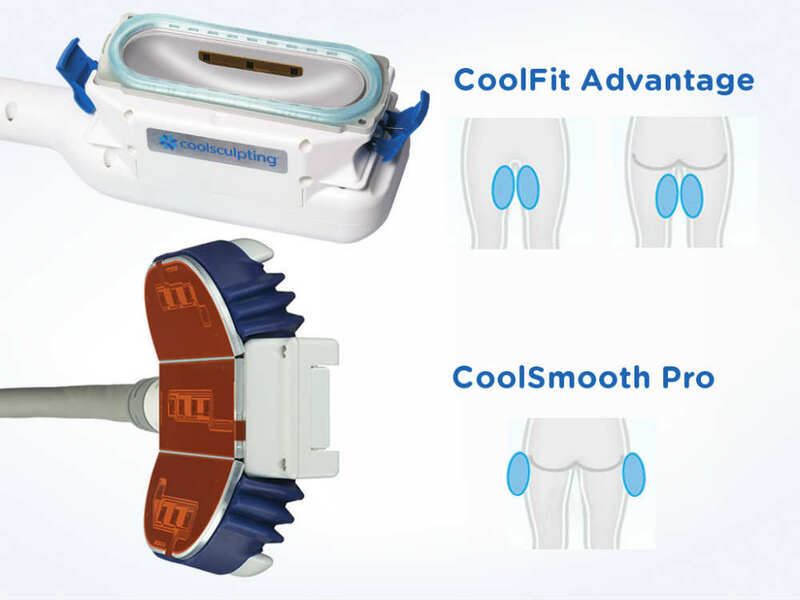 The main difference is that the CoolFit applicator works by suctioning the fat bulge of the inner thighs while CoolSmooth Pro is a flat applicator that is placed on top of the outer thighs. Once the fat cells are frozen, they naturally die and are permanently removed as the body metabolizes them. CoolSculpting is a safe alternative for individuals who want to have slimmer thighs without undergoing liposuction or surgery. Make sure to consult a Certified CoolSculpting Clinic as the CoolSculpting treatment is a technique dependent procedure and the certification ensures you that you will receive the optimal treatment. Vanquish Flex is currently the only non-contact body contouring treatment in the market. This fat removal technology targets fat cells via Selective Radiofrequency energy. BTL Vanquish causes natural death of fat cells without affecting the skin or muscles. Once heated, the fat cells die and are removed from the body through a natural process. The BTL Vanquish body sculpting Flex applicator uses US FDA-cleared energy flow control to slim the circumference of the upper leg. 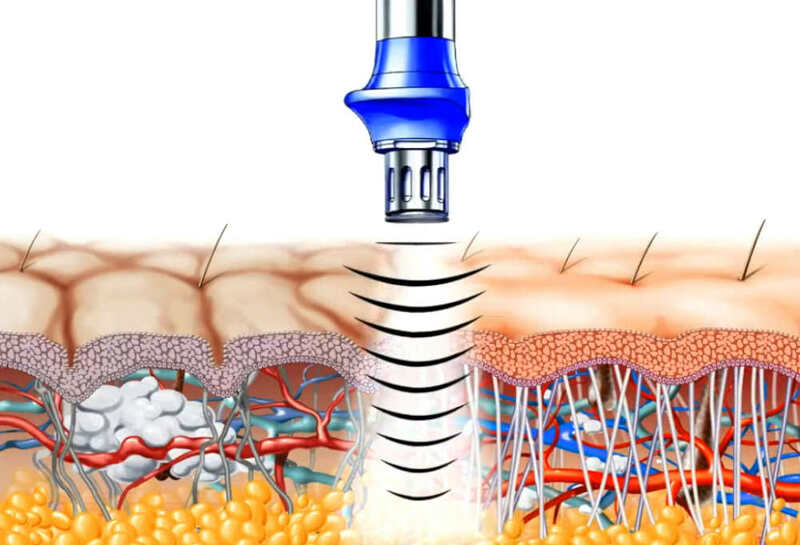 The applicator uses a two-panel system that safely and comfortably treats the patient completely touch-free. What’s even more unique about BTL Vanquish Flex is that it can treat both the inner and outer thighs in one session. The treatment feels like a warm sensation which make it very comfortable for patients. Furthermore, the procedure is not limited to a specific BMI which means that every body is a good candidate for the Vanquish ME fat reduction treatment. With Exilis, you can literally heat the fat away from your legs while tightening your skin and reducing cellulite. This FDA-approved, non-invasive procedure uses radiofrequency waves to provide deep thermal heating which reduces fat cells and stimulates collagen production resulting in firmer, smoother skin. Exilis works by targeting the fat layer and essentially “heating” it without affecting the skin’s surface. The body applicator is built-in with a cooling function to protect the skin as heat energy moves at around 2.5 cm deeper targeting the fat layer. As the fat cells are heated, they die and then naturally eliminated by the body’s lymphatic system. While you’ll likely see improvements after the very first treatment, at least four sessions are required to get good results. Firmer skin can be achieved in as little as two to three months as your body flushes out the dead fat cells and works to produce new collagen. In order to achieve cellulite-free legs, the build-up of soft tissues below the skin must be broken down to remove the lumpiness and dimpling. With X-Wave, you will finally have real help to eliminate those stubborn cellulite. X-Wave uses FDA-cleared energy of targeted vibrations also known as Acoustic Wave Therapy (AWT) to break down the soft tissues under the skin that causes the lumpiness in your legs. Besides from reducing the appearance of cellulite, X-Wave is also clinically-proven to improve elasticity, firmness and smoothness of the skin reducing cellulite, stretch marks and scars. In Cutis, we believe that combination treatment is the key to get good results. We combined Vanquish ME, CoolSculpting, Exilis and X-Wave using our “Fire and Ice” Fat Reduction Protocol to provide optimum fat reduction and body contouring results for our patients to achieve not only slimmer and cellulite-free legs but also nicely toned and beautifully-sculpted face and body contour. To know if you are a good candidate of these procedures, contact Cutis Laser Clinics today and schedule your Body Assessment and Consultation with our Harvard-trained skin specialist, Dr. Sylvia Ramirez.